Looking for a power bank that supports fast charging all around? AUKEY’s 10000mAh is an answer to all of your prayers, and it happens to be discounted today as well. If you’re going to fast charge your mobile device, then it’s likely that you will be sticking with two commonly used protocols in the mobile world. 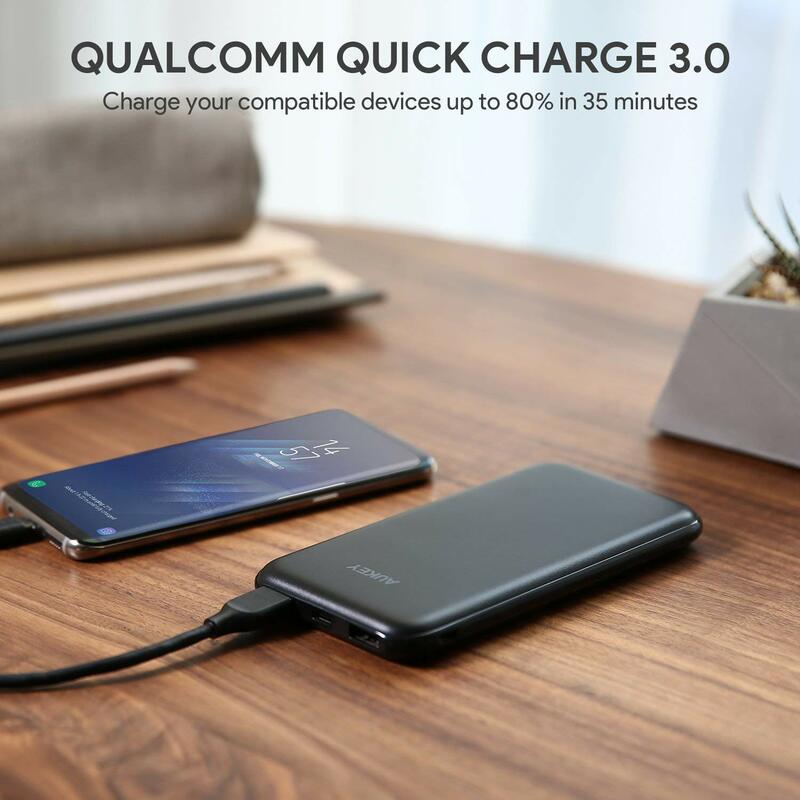 It’s either going to be Quick Charge 3.0 or USB Power Delivery. How about a power bank that can do both in a sleek looking package? AUKEY has your back today then. 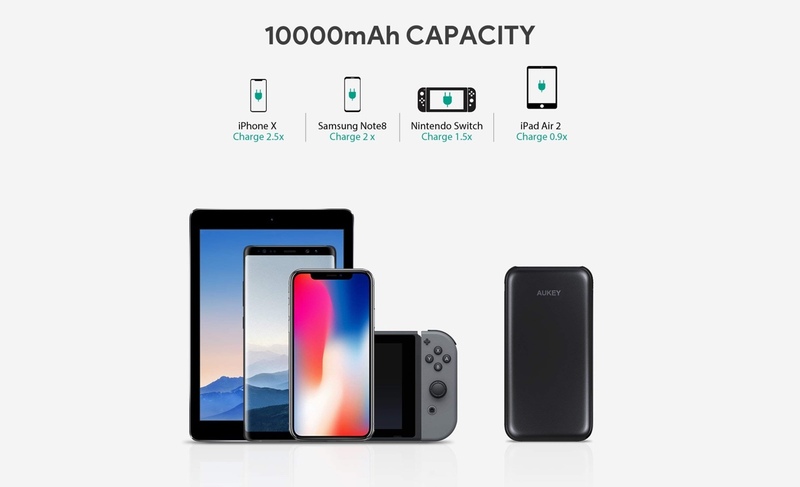 Coming in at a cool $24.89 after entering a special discount code, this power bank from AUKEY packs a marvelous 10000mAh of juice inside it. But what’s more important here is that it supports Quick Charge 3.0 as well as USB C Power Delivery. 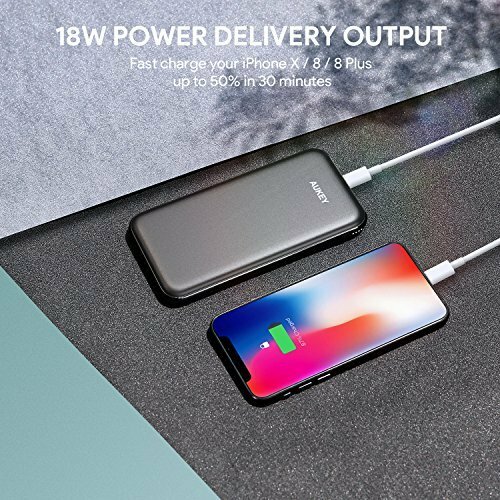 What this means is that you can fast charge an iPhone at full speed using USB Power Delivery or a compatible Samsung Galaxy at 18W using Quick Charge 3.0. Since this power bank does 18W of output using its USB C port therefore you can charge your 2018 iPad Pro as fast as you would using the bundled wall charger from Apple. Crazy, right? If you want to go absolutely bonkers with this power bank, then you can top off your MacBook a little using the USB Power Delivery port as well. But remember, since this power bank is limited to 18W of speeds, therefore you won’t be able to charge your MacBook at full speed. But if you or a friend requires an emergency top off then this AUKEY power bank will do its job. If you are interested in picking this product up for yourself, then head over to the link below. Make sure that you enter the special discount code at checkout in order to bring the price down to $24.89 from $30.